Description: G684 Black Granite is a black glass olivine basalt from Fuding, Fujian province, China. This stone internationally may be nominated as a granite and for the US and Chinese market this is correct however in the area of application of the European Standard this stone must be nominated as basalt. During the polishing process a clear epoxy resin filler may be used to fill any micro fissures or tiny pitting however this does not affect the integrity of the stone, it merely provides an even smoother surface finish. G684 Granite is suitable for both interior and exterior use futhermore is frost resistant but does NOT have a constant polish. This material has a dark background with black "raindrop" in it. First Choice material will have no white lines or veins. Lower cost G684 may have black or white lines or clouds. Products: It is mainly used for flooring, cladding, kitchen counters and table tops. G684 Black Granite is available in both slabs and tiles, it looks best when it is glossy however it must be noted that the polished surface is easy to remove and is not hard-wearing in high-traffic and hard-use environments. With a flamed or bush hammered surface the material should wear extremely well. 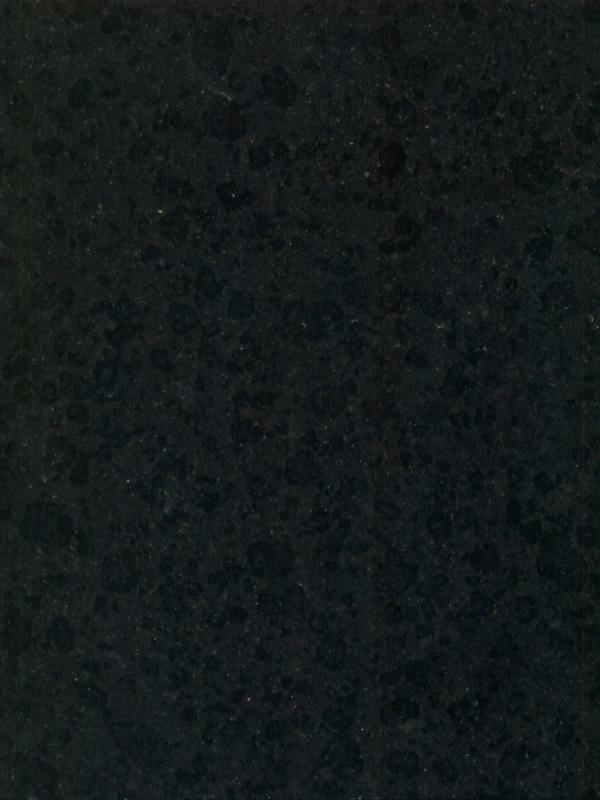 G684 Black Granite is NOT an Absolute Black Granite substitute. Surface Finish: G684 Granite looks best with a gloss polished surface but is also available as honed, leather/satin, river-washed/antique, thermal/flamed, brushed and sandblast finish. Sealing: Test with a small sample. It is possible that a sealant can be used on G684 granite however excessive attempts at sealing it could actually create a residue film build-up. Block Sizes: This is a quarry yielding selectable, grades of granite but with NO blocks suitable for gangsaw size down to economical tile-sized blocks. For commercial projects it is important to ensure that blocks are selected from the same quarry face. Quarry Location: G684 Granite is quarried near Fuding, Fujian province, China. Synonyms: Absolute Black, Beauty Black, Black Basalt, Black Beauty, Black on Black, Black Pearl, Black Rain, Diamond Black, Dirty Black, ER 381, Fudin Black, Fuding Black, Fuding Hei, Fujian Black, Funding Black, G3518 (according to GB/T 17670), G 139, Padang 684, Padang Black, Padang Green, Padang Gruen, Padang Nero, Padang Schwarz, Padanga Green, Palladio Dark, Panda Black, Pearl Black, Raindrop Black, Schwarzer Basalt, Twilight. Olivine Basalt: Is basalt plus olivin phenocrysts, and quartz basalt, which is vasalt plus scarce quantities of quartz.